If you're looking for a full-size SUV that's still fun to drive, the 2018 Dodge Durango is for you. It seats seven, meaning there's enough room for your family and their friends, but there's still enough power to put a smile on your face. Dodge believes that driving should be enjoyable, no matter what kind of vehicle you're in. 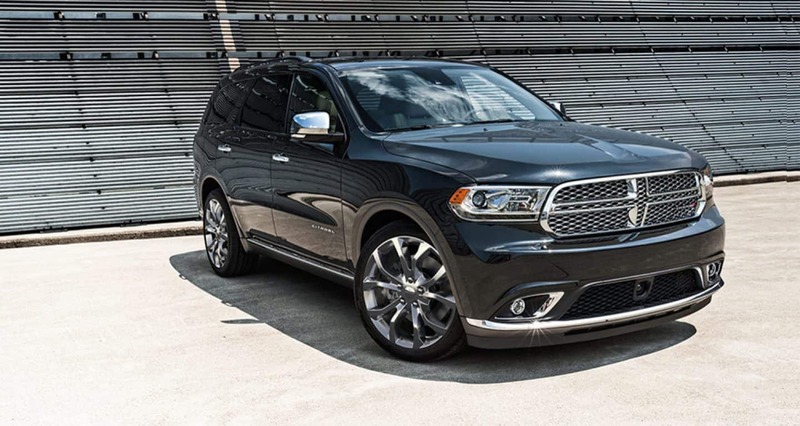 Browse Our New Dodge Durango Inventory! The standard engine in the 2018 Dodge Durango is a 3.6-liter V6 that gives out 293 horsepower and 260 pound-feet of torque, and Dodge is only getting started. Drivers looking for a little something extra will be interested in the available 5.7-liter V8 engine, which gives out an increased 360 horsepower and 390 pound-feet of torque. Still not enough? The 2018 Dodge Durango tops out with an available 6.4-liter V8 engine, which produces 475 horsepower and 470 pound-feet of torque. Dodge gives you the power to get you wherever you want to go. When properly equipped, the 2018 Dodge Durango can tow up to 8,600 pounds. Dodge offers several available safety technologies to better keep you protected when you're out on the road. Available features include blind-spot monitoring with rear cross-traffic alert, adaptive cruise control, lane departure warning with intervention, and forward collision warning with intervention. Dodge helps keep you safe wherever you go. The 2018 Dodge Durango has plenty of technology and entertainment features to ensure your ride is both smooth and enjoyable. With the standard 7-inch infotainment touchscreen featuring Android Auto and Apple CarPlay integration, staying connected on the go is easy. Tri-zone automatic climate control keeps everyone comfortable in any temperature. Visit Our New Dodge Showroom in Just Outside of Atlanta in Union City, Georgia and Take a Test Drive Today! There's nothing quite like the 2018 Dodge Durango. If you're in the Atlanta, Marietta, Newnan, Stockbridge, or College Park area, come take one for a spin today. Just give us a call at (770) 628-1171 to schedule a test drive, or come set one up in person here in Union City, GA. We can't wait to help you out.